The expanding field of optics related applications has created a vast variety of industries and organizations that require advanced optical spectral measurements for both R&D and manufacturing. These industries include telecommunications, consumer electronics, healthcare, life science/medical research, security, sensing, microscopy, and gas/chemical analysis, and environmental monitoring. 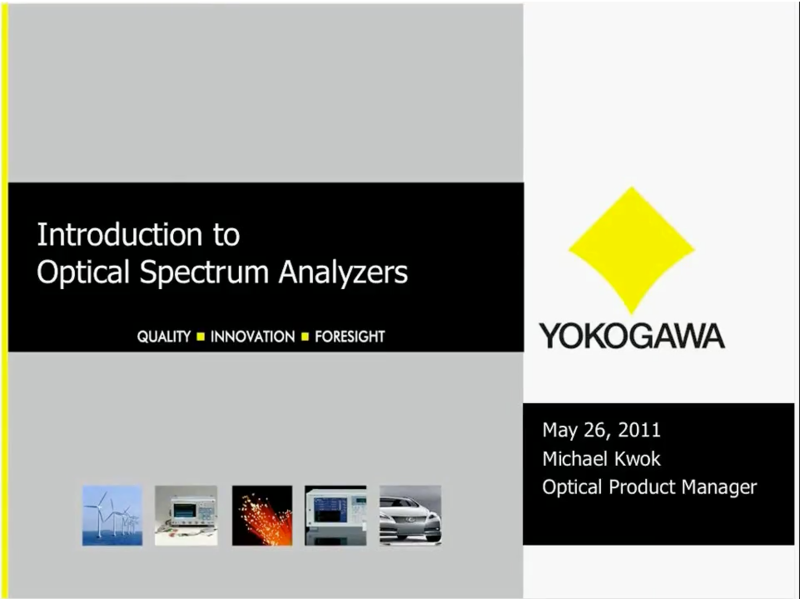 Yokogawa (formerly Ando) is the global leader in optical spectrum analyzers, delivering high quality, cutting edge technology with dependability, performance and flexibility for over thirty years. The AQ6360 is a cost-effective optical spectrum analyzer based on diffraction grating technology, ideal for optical device manufacturing. Popular TELECOM wavelength Range of 600nm to1700nm makes this an ideal model for Telecommunications applications for both singlemode and multi-mode optics. The AQ6374 Wide Range Optical Spectrum Analyzer covers wavelengths from 350 to 1750 nm including visible lights (380 to 780 nm) and the telecommunication wavelengths. The AQ6375B is a bench-top optical spectrum analyzer covering the long wavelengths, 1200 to 2400 nm, with the added benefits of gas purging input ports / output ports, a built-in cut filter for high order diffracted light, and a novel double speed mode which increases the sweep speed up to 2 times compared to the standard sweep mode. The AQ6376 is the latest version of our bench-top optical spectrum analyzer extending the wavelength coverage well beyond the NIR range of our previous models into the MWIR region from 1500 to 3400 nm. Popular applications include the detection of gases such as carbon oxides (COx), nitrogen oxides (NOx), and hydrocarbon gas (CxHy) for environmental studies. The AQ6370 Viewer is a package of PC application software for the AQ6370 series Optical Spectrum Analyzer. This paper describes a compact optical channel monitor and a delayed interferometer having free-space optical elements such as lenses or mirrors, as an application of microoptics. These devices have been developed to be built into dense wavelength division multiplexing (DWDM) transmission systems. These optics use a Gaussian beam which is emitted through single-mode optical fibers and located near the optical axis. This paper explains the optical designs of these devices based on the Gaussian beam's behavior. Please download the attached application note for instructions on how to make High Bit Rate Modulated OSNR Measurement for the AQ6319 and AQ6370 series OSAs. Yes, the AQ6370 Viewer Software is compatible with Windows 7 32-bit and 64-bit. Note: Please make sure the correct USB driver is installed for either Windows 7 32-bit or 64-bit. Please clean the fiber used between the calibration output and the optical input. No, unfortunately due to the number of current fiber combinations, we do not stock optical fibers. There are many companies that specialize in optical fiber cords. 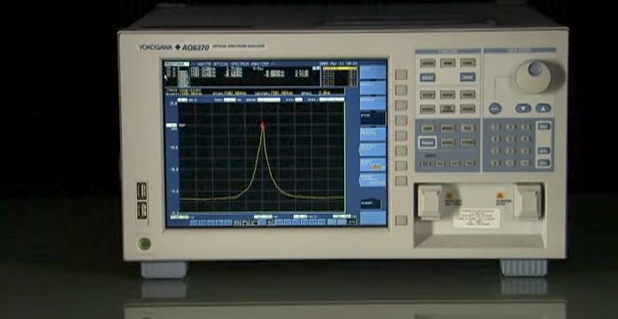 The AQ6370 is Yokogawa's high speed and high performance Optical Spectrum Analyzer for characterization of optical communications system and optical components. Thirteen built-in analysis functions and seven trace calculations for popular applications can be utilized with a simple function key. Yokogawa continues to provide you quality products that simplify your business practices. The AQ6375 is the first bench-top optical spectrum analyzer covering the long wavelengths over 2 ?m. It is designed for researchers and engineers who have been struggling with inadequate test equipment to measure in these long wavelength ranges. The AQ6375 achieves high speed measurements with high accuracy, resolution and sensitivity, even while providing full analysis features. Troublesome calibration steps and the development of external analysis software is no longer required. 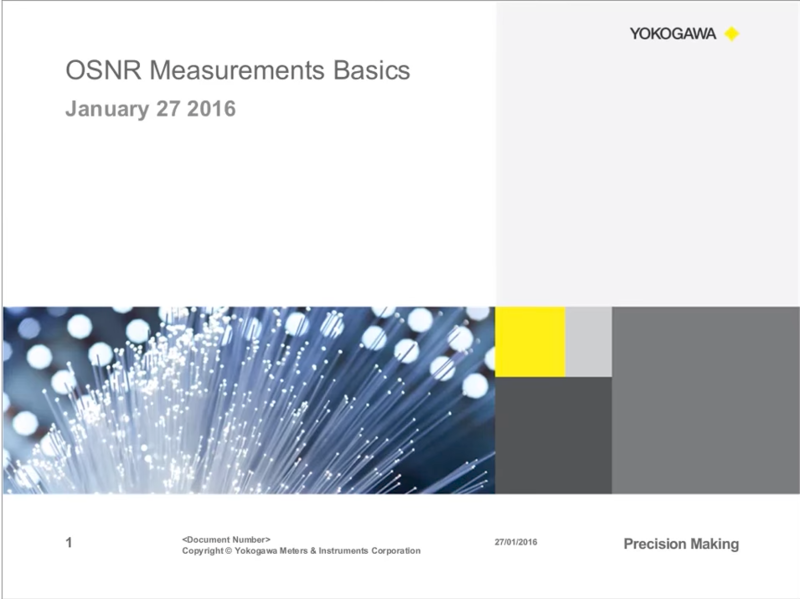 View our webinar on the many uses of an Optical Spectrum Analyzer. This 45 minute presentation covers the basics of light, the design, measurement, and test applications of an OSA. 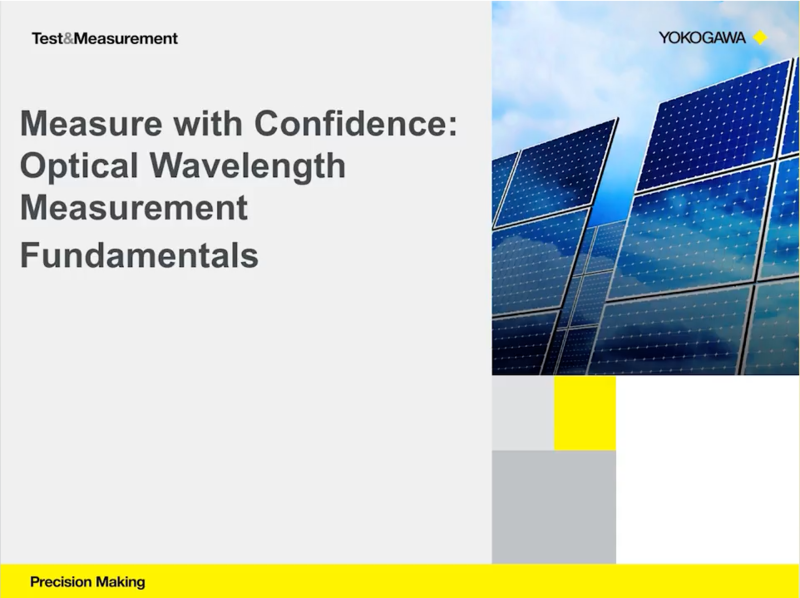 Learn with Product Manager, Michael Kwok, about crucial fundamental concepts for optical wavelength measurements in this 45 minute session. We will discuss the principles behind optical wavelength measurements of optical sources and devices, as well as basic tips and tricks so you can measure with confidence. In this webinar, Michael Kwok will discuss general techniques to measure OSNR for both traditional and modulated optical signals. 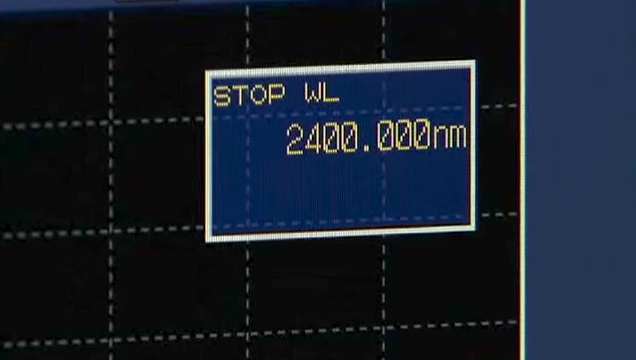 The goal of the webcast is to provide test engineers with key measurement considerations for performing OSNR measurements using an Optical Spectrum Analyzer or OSA. Announcement of the AQ6375 Optical Spectrum Analyzer.